Los Angeles, CA (DATE)—John Lodge, legendary bass player and vocalist of The Moody Blues, will be releasing a special CD/DVD box set, and limited edition 180g Red Vinyl double album titled JOHN LODGE: LIVE FROM BIRMINGHAM – THE 10,000 LIGHT YEARS TOUR. Pre-sale date for the box set begins on September 7 via Pledge Music at https://www.pledgemusic.com/; and will be released as a hard copy, as well as digitally, on iTunes and Amazon on October 18. The limited edition 180g Red Vinyl double album will be available on November 20. 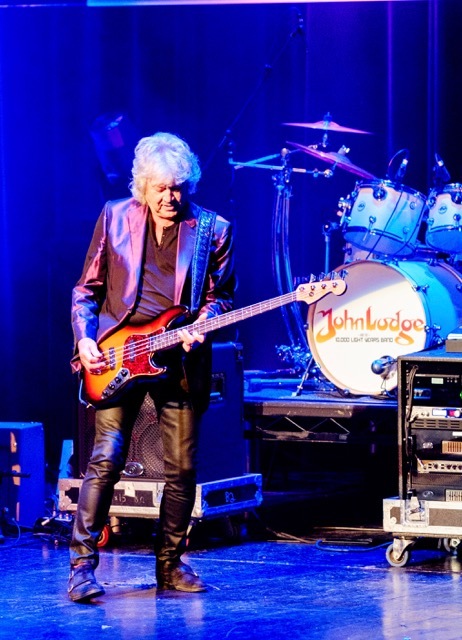 JOHN LODGE: LIVE FROM BIRMINGHAM – THE 10,000 LIGHT YEARS TOUR features Lodge’s final performance on his first-ever solo tour for his album, 10,000 LIGHT YEARS AGO, which took place in his hometown of Birmingham in 2016. The box set will contain a CD and DVD of the full concert, in addition to a special “behind the scenes” bonus DVD covering his journey from his New York City release party, through to the final concert in Birmingham. Roger Dean created the artwork for this special project, some 40 years after he first created the artwork for John’s first solo album, NATURAL AVENUE. Following the 2015 release of Lodge’s critically acclaimed 10,000 LIGHT YEARS AGO album, in which its single, “In My Mind,” was nominated for “Anthem of the Year” by the influential Prog Magazine, Lodge took his new music to the stage, performing with his own band for the very first time for the UK tour. 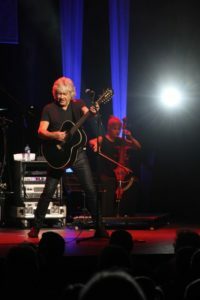 As a member of The Moody Blues since 1966, John Lodge has spent much of his life touring the world as an integral member of the legendary rock and roll band. His first solo album was released 40 years ago, in 1977, but was never performed live. When asked what has taken him so long to get his own show on the road, Lodge was quick to point out, with a smile, that he has been busy with his “other band”…and has also been making wine! John has won several international awards for his “Krisemma” line of wines. 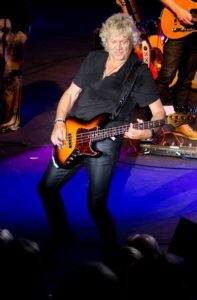 During Lodge’s remarkable solo and Moody Blues career, he has sold more than 70 million albums and received numerous awards, including an ASCAP Award (American Society Of Composers & Publishers); a “Soundtrack Of The Year Award”, an Ivor Novello Award, and has been voted one of the 10 most influential bass players on the planet.